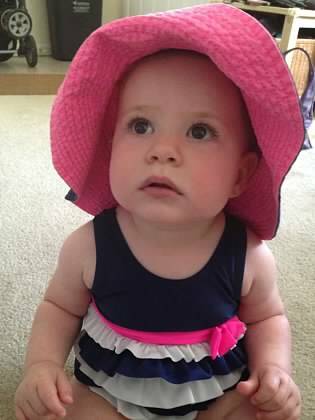 First Birthday of his First Grandchild! You’d start to speak to Agnon conceptually, and he’d immediately change the subject—‘Let me tell you a story, let me tell you a maiyseh.’ He thought in pictures. Agnon expressed everything, completely legitimately, as one who thinks in pictures. This was a perceptive remark, so it is interesting that so few of Agnon’s stories have been illustrated . . . . But only now, forty-three years after the Nobel laureate’s death, have Agnon’s stories been rendered into a comic book. Israeli illustrator and cartoonist Shay Charka has put pictures to words for three of Agnon’s stories that have special appeal for children. One of Agnon’s best-known short stories, and likely the first that many school children encounter, is “Fable of the Goat,” the story of a magical cave tunnel between Exile and the Land of Israel, and a delightful but unfortunate goat who can lead the way through. Actually, this story was the first of Agnon’s ever to be illustrated. When it was published in 1925, very shortly after Agnon’s own return from his twelve-year sojourn in Germany, the story was simultaneously issued in two publications—for adults in the literary journal Hedim, and as part of a series of booklets for children illustrated by Betzalel artist Ze’ev Raban. The fact that the same story would be presented as both adult and children’s literature highlights the rich midrashic or aggadic nature of Agnon’s writing. 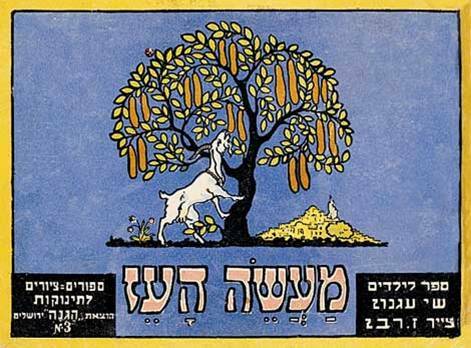 And here is The Fable of the Goat (מעשה העז), which you can find online here, on the website of United Jewish Israel Appeal (UK), along with a series of Discussion Questions. The tale is told of an old man who groaned from his heart. The doctors were sent for, and they advised him to drink goat’s milk. He went out and bought a she-goat and brought her into his home. Not many days passed before the goat disappeared. They went out to search for her but did not ﬁnd her. She was not in the yard and not in the garden, not on the roof of the house of study and not by the spring, not in the hills and not in the ﬁelds. She tarried several days and then returned by herself; and when she returned, her udder was full of a great deal of milk, the taste of which was as the taste of Eden. Not just once, but many times she disappeared from the house. They would go out in search of her and would not ﬁnd her until she returned by herself with her udder full of milk that was sweeter than honey and whose taste was the taste of Eden. One time the old man said to his son, “My son, I desire to know where she goes and whence she brings this milk which is sweet to my palate and a balm to all my bones.” His son said to him, “Father, I have a plan.” He said to him, “What is it?” The son got up and brought a length of cord. He tied it to the goat’s tail. The youth tied the cord to the goat’s tail and minded it carefully. When the goat set off, he held the cord in his hand and did not let it slacken until the goat was well on her way and he was following her. He was dragged along behind her until he came to a cave. The goat went into the cave, and the youth followed her, holding the cord. They walked thus for an hour or two, and maybe even a day or two. The goat wagged her tail and bleated, and the cave came to an end. When they emerged from the cave, the youth saw lofty mountains, and hills full of the choicest fruit, and a fountain of living waters that ﬂowed down from the mountains; and the wind wafted all manner of perfumes. 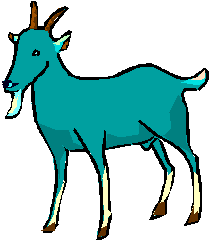 The goat climbed up a tree by clutching at the ribbed leaves. Carob fruits full of honey dropped from the tree, and she ate of the carobs and drank of the garden’s fountain. The youth lifted up his eyes to the heavens and said, “Blessed by the Omnipresent, blessed be He who has brought me to the Land of Israel.” He kissed the soil and sat down under the tree. The youth rolled up the note and placed it in the goat’s ear. He said to himself: When she arrives at Father’s house, Father will pat her on the head, and she will ﬂick her ears. The note will fall out, Father will pick it up and read what is written on it. Then he will take up the cord and follow the goat to the Land of Israel. Since that time the mouth of the cave has been hidden from the eye, and there is no longer a short way. And that youth, if he has not died, shall bear fruit in his old age, full of sap and richness, calm and peaceful in the Land of the Living.